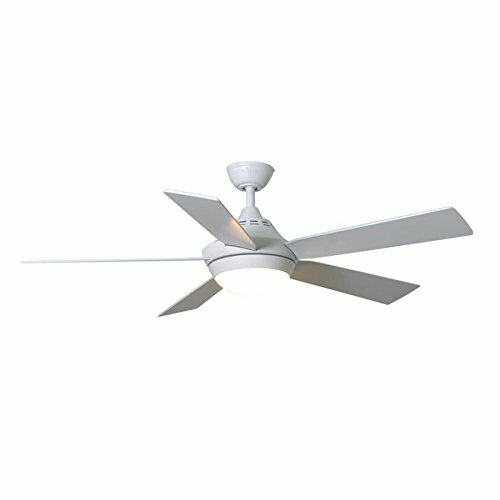 Harbor Breeze fans are manufactured by a company known as Litex Industries. Litex is based in Texas. At the time of this writing, their website is currently under construction – likely being re-developed. Litex is an importer and manufacturer of a number of different ceiling fan brands. Litex also produces lighting as well. In order to tell that a lighting product is produced by Litex, you can look for a simple X on the lighting kit or on the fan blades. Litex has an exclusive relationship with a certain retailer – this means you’ll find Litex ceiling fans in this retail chain, but not other store chains. Litex is known for their energy efficient fan motors. Where can I find contact details for Litex fan company? At this time, since the Litex fans website is being updated / re-developed, we’re not able to find this information to provide it. If you are able to locate it, please do let us know the contact details for Litex so we may post it to our website! We would love to hear from you. Is Litex a good quality fan manufacturer? We would like to say so, yes. One way to look at it is that Litex does manufacture Harbor Breeze fans – so if it wasn’t for them, Harbor Breeze fans wouldn’t be available! Whether you do have a Harbor Breeze ceiling fan, or a fan from another manufacturer, it’s possible that your fan may be making clicking noises. It’s possible that the fan may make these noises on any speed setting, or even just particular speed settings. Many site visitors immediately think it’s a problem with the motor – which is actually not the case. If you have a problem with the motor, you may see symptoms like the fan not turning properly. Loud clicking noises can be the result of a loose blade, loose screw or another component that is generating the noise when friction is applied (when the fan turns). Check for loose blades. Take a look for the screws, or set screws that hold the blades onto the blade arms. Are they all secured well? Try wiggling blades to find which blade is loose. Once you have found a loose blade, check all the screws and mounting components attached to that blade to find the source of the problem. To prevent wobbling fans and warped blades, it’s actually quite simple. What happens is over time, dust and dirt will accumulate on top of the ceiling fan. This is actually unknown to many. It may not look like a lot of dust or dirt, but because the fan blades have to be perfectly aligned when spinning, the dust & dirt accumulation over time will cause the blades to warp. Go figure, right? It’s not really known by many homeowners that ths is the reason why the blades or arms may eventually bend on a fan. So, in order to prevent this from happening, the easiest way is to clean the fan every 6 months or so. If it gets heavy use, you may need to do this twice a quarter. The easiest way to clean the fan blades is just use a Kleenex or a cloth, with water. A damp cloth is actually fine too. If you have an electrostatic cloth that picks up dust really well, that’s the best way to go. Just some water or a damp cloth and you’re good – you don’t need to use soap or other chemicals. Depending upon the finish of your fan, it’s likely that chemicals (or even soap) could damage the finish. Kleenex also tends to rip, so use a cloth – that’s the easiest way to go. Make sure the cloth is clean so you’re not wiping things onto the fan. Once you clean the tops and bottoms of the fan blades, why not just wipe down the rest of the fan too. You don’t need to remove the fan from the ceiling, but you can wipe down the motor housing, motor mount and whatever else is visible. Wiping down the fan and the blades often (especially the top of the blades) helps cut down on the dust and dirt buildup. It’s the stuff that remains on top of the fan blades; this is what warps the blades and will cause you the most amount of harm. If your fan has started experiencing wobbles, a blade balancing kit may help to resolve the issue. A blade balancing kit comes with some weights and instructions how to use them. The objective is to figure out via using the balancing kit, which blade is warped. It could be difficult to see to the human eye because it only requires the blade be unbalanced by a few fractions of an inch, in order to make the whole fan wobble when spinning. Take a look at the fan and have it spin slowly, on the first speed setting – can you see any blades that look out of alignment with the rest? If you take a look at the wobble, it may be possible to also notice which blade is causing the wobble. Try using the blade balancing kit to figure out what blade is causing the problem. Once you’ve discovered the blade which is the issue, try to repair it by tightening nuts and bolts, cleaning the top of the fan blades, etc. In a worse case scenario, you may need to purchase replacement fan blades to replace the warped ones. Replacing a warped blade is pretty easy, just remove the correct screws and/or the blade bracket as required. It’s common to see this question posted to forums and other online communities. Where can I find replacement Harbor Breeze parts? On this page we will attempt to provide a step by step instruction guide of where to source your replacement part. If your fan still has a warranty or a service plan associated with it, then take it in for servicing first. It’s great if you do have a warranty. Of course, we assume here in this article that you don’t. If you’re not sure, think how long ago the fan was purchased, and then check the manual or on the box as to how long the warranty lasts for. Lowe’s and amazon has replacement parts. Harbor Breeze has light kits like these, that are both good looking and affordable. This light kit retails for around $50 USD, which is not bad at all. People who are familiar with Ceiling Fans may sometimes tell you to buy from a dealer, instead of buying a house brand like Harbor Breeze. This is a recurring theme online if you read information and posts from ceiling fan enthusiasts. This is because at times, it can become downright difficult to obtain replacement parts from Harbor Breeze. Thankfully, there is a 1-800 number that you can call for support. You can download an app for your phone that works just like a Harbor Breeze remote, without the hardware. It is now possible to control your ceiling fan from your smart phone. If you have a smart phone, like an iPhone, Samsung Galaxy or other, you too can control the ceiling fan from your phone. You can even control multiple fans. These days there are so many different apps available and ways to control different media, and forms of electronics from your phone. This new evolution of being able to interact digitally with the world around us is popularly being called, “the Internet of Things” or IOT. This is changing the way that we interact and use electronics in our day to day lives. The way this works is, the phone app will connect to your fan via bluetooth. “But my fan does not have bluetooth!” you may cry. Well, don’t worry. Ceiling fans aren’t built with bluetooth in mind. So in order to make this work, you’ll need the Home Depot Bluetooth Remote. If you have this remote, the phone app can pair with the remote in order to control the fan’s settings. It will be possible to turn the fan power on, change the speeds, change the dim, etc. All of the same functons you can do with the bluetooth remote, you will be able to do with the phone app as well. In recent years, there now is a phone app for just about everything! This is another one of those examples. There are also many universal remotes that you can use for the same purpose. It may also make sense to just use the remote, since you need one of those with bluetooth anyways to make this idea work! The nice thing about using the app is that it eliminates the need for hardware. Losing a remote is a common issue, and buying new replacement remotes all the time can become an expensive venture. Once the app is synced up with your ceiling fan, it becomes as simple as if you were just using your phone to talk to your friend. It is also possible to connect these functions with a home automation system as well. Hello and welcome to the Harbor Breeze Ceiling Fan Resource Website. We endeavor to build this website to be helpful, and offer troubleshooting and other useful information. We also have a much larger master website, which has long troubleshooting guides and other information. This also includes ceiling fan parts for Harbor Breeze fans, manuals and downloadable PDFs. Many parts for Harbor Breeze fans can be found at Lowe’s. Lowe’s is the only retail outlet that sells Harbor Breeze. The fans are imported from China. We list a 1-800 number on the site that you can call for help or support when you need it. Lowe’s customer support 1-800 has specific hours that it can be reached during the week. Another good place to obtain support is the Home Depot community forums. Installation instructions are also included here on the Resource Website. Installation of a Harbor Breeze Ceiling Fan generally does not take very long – usually no more than an hour. If you’re good at it, it could take you only a half hour. Not bad, right?